The concept of cryptocurrency is not new. They are in the international market since past two decades. But it gained popularity few years ago in 2009 after the introduction of bitcoin, world’s first decentralized cryptocurrency. This cryptocurrency even reached the level of around 12,000 USD. Few other cryptocurrencies are also quite popular including Ethereum, Ripple etc. But despite their extensive use in public, there are lots of doubts and fears about the use of these electronically-controlled currencies and governments and banks around the world generally discourage the use of such currencies due to various reasons. But no one can deny the importance of such currencies and there are indications that governments are quite lenient on stopping the flow of such currencies. The latest example is the step taken by the government of Dubai. According to a latest report, Dubai has offered investors to store their cryptocurrencies in a vault present in the world’s best free zone DMCC (Dubai Multi Commodities Centre). After this new regulation, a gold trading company Regal RA becomes the first company in UAE and the whole Middle East region to acquire license to deal in cryptocurrencies like Bitcoin, Etherium and Ripple. It is basically a trading license where the share capital is AED 50,000. Apart from UAE, Regal RA also has offices in US and Canada. After acquiring the license, the company will offer storage of all the famous cryptocurrencies in a vault located in DMCC headquarter. Manager of Regal RA, Ksenia Kiseleva, expressed her pleasure on achieving the milestone of becoming the first licensed dealers of cryptocurrencies in the Middle East. She had the view that cryptocurrencies should be termed as “crypto-commodities” because they are like storing a value which is quite similar to that of gold bullion. It is not a unit of exchange like money. She added that they will put these crypto-commodities offline in a cold wallet in the same way that they store gold. Such measure by the government of Dubai will surely regulate the use of cryptocurrencies that will ultimately result in reducing or eliminating the dangers related to such e-currencies. Dubai remained at the forefront of adopting new technologies and ideas and the recent step is an example of the open-mindedness of the rulers of Dubai. 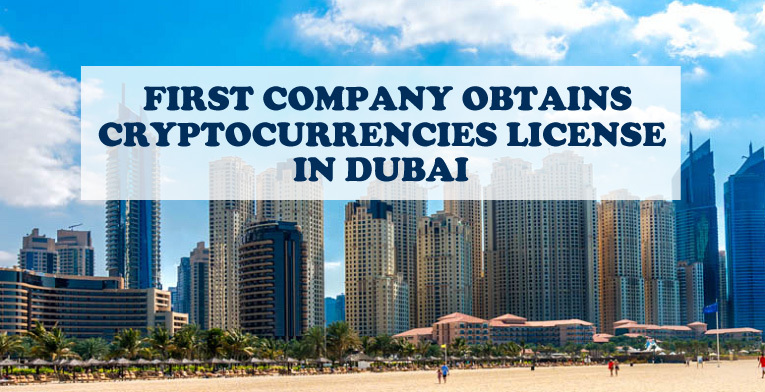 If you are among those who want to take advantage of these latest proceedings in Dubai, then you can take assistance from Riz & Mona Consultancy to acquire license of Cryptocurrencies. We have years of experience in providing different types of licenses including trade license in Dubai and other emirates of UAE.